Measuring in at a mighty wingspan of 1 inch, the grey hairstreak is one of the more common of hairstreaks of Texas. 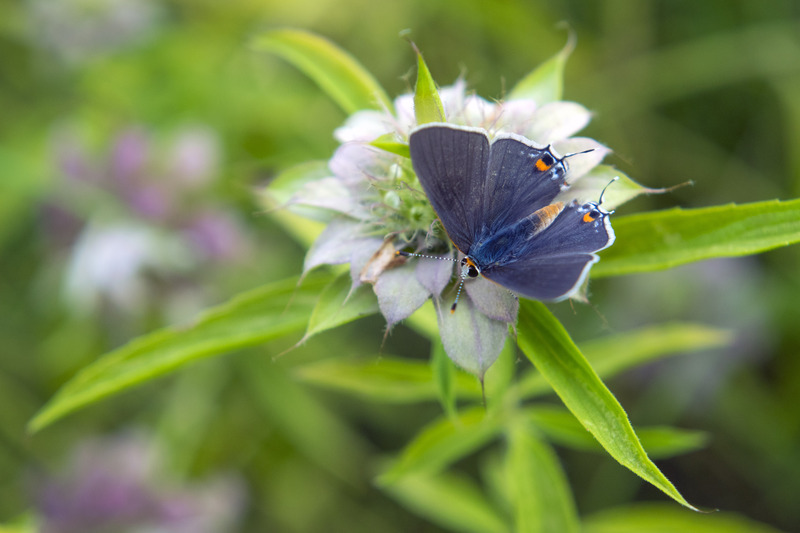 If you see a little blue butterfly flutter on by, it’s probably either one of these or some other kind of hairstreak. If you look at the top right of the picture, you’ll notice the tails on back wings – these are a unique trait this family shares. They are particularly known for rubbing these tails together when resting with their wings up. I hope to capture it clearly one day, so be sure to check back in and see if I do! Spoiler: it’s one of my goals this summer.